The Dr Shezad Malik Law Firm is investigating serious and catastrophic injuries associated with the Cook Celect and Gunther line of vena cava filters. What is the Cook Celect? Cook Medical manufactures the Celect Vena Cava Filter. It was approved in 2008 under the FDA 510(k) approval process. This process is a short cut to getting approval for medical devices. Manufacturers of new devices do not have to present new safety studies so long as the device is similar to another device on the market. Cook introduced the Celect as an improved version of the Günther Tulip IVC filter, which was approved in the 1990s. The filters are designed to reduce the risk of pulmonary embolism (blood clot in the lung) following a deep vein thrombosis or blood clot in the legs. The filters are implanted into the major vein in the body, the Inferior Vena Cava or IVC. According to medical experts these retrievable IVC filters are known to break off and fracture, migrate, perforate internal organs, and cause other deadly complications. MDL has been established for all Cook Medical IVC filter lawsuits, involving problems with the Cook Celect or Gunther Tulip filters. There are more than 100 complaints over those products centralized before U.S. District Judge Richard L. Young in the Southern District of Indiana. The Dr Shezad Malik Law Firm is accepting Cook Celect and Gunther Tulip related personal injury cases in all 50 states, including California, Florida, Illinois, New York and Texas. If you or somebody you know was injured, you should contact our lawyers immediately for a free case consultation. Please use the form to contact our team or call us toll-free 24 hours a day at 888-210-9693 ext 2 or 214-390-3189. Did you have an IVC Filter inserted due to prevent pulmonary embolism? Did the IVC Filter break apart or fracture causing significant damage? Did you or a loved one suffer Perforation of the Heart, Lungs or Vena Cava, Internal Bleeding, Cardiac Tamponade, Hematoma, Pulmonary embolism, Infection or Severe Chest Pain? If you received any of these injuries after receiving an Inferior Vena Cava (IVC) Filter then you may be entitled to Compensation. IVC filters were designed for patients at high risk of pulmonary embolism, who for some medical reason could not take the standard blood-thinning drugs. 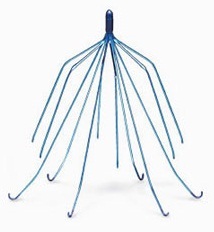 Recently the use of IVC filters has exploded, because of the availability of retrievable filters, including the Cook Celect, which are intended to be removed after the patient is no longer at risk of a pulmonary embolism. In 2009, researchers published a study of 115 people implanted with the Cook Celect. In some cases, it was impossible to remove the filter because the hooks became embedded in the lining of the vena cava. When retrievable IVC filters are not removed after 3-4 months of being implanted, the risk of complications increases significantly. In 2010, the FDA reported receiving nearly 1,000 adverse events. Dr Shezad Malik Law Firm is currently investigating Cook Celect side effect injury cases nationwide. If you or somebody you know was injured, you should contact our lawyers immediately for a free case consultation. Please use the form to contact our team or call us toll-free 24 hours a day at 888-210-9693 ext 2 or 214-390-3189. Our law firm’s principal office is in Dallas and we have offices in Fort Worth, Texas. Dr Shezad Malik Law Firm represents clients in dangerous drug and dangerous medical device lawsuits nationwide.